Through progressive design and diligent craftsmanship, Gucci’s GG Running collection unveils this bold yet trendsetting 18kt gold, wide 19mm signet ring. 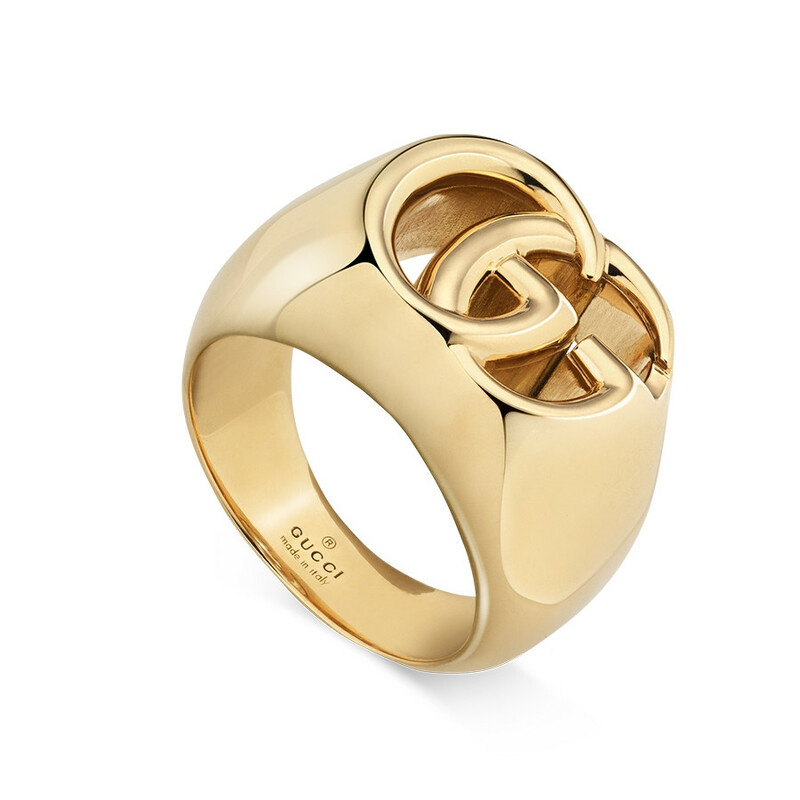 The double G center of this ring, showcases the iconic Gucci motif, providing your look with a sophisticated glamour through innovative attributes. The authenticity of Gucci jewelry can only be proven through their undeniable attention to detail and brilliant creations.